Wir stellen alle unsere Radiosendungen kostenfrei zur Verfügung. Schon ein kleiner Beitrag hilft Radio evolve. 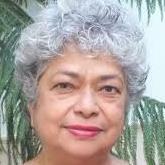 Dr. Monica Sharma worked many years for the United Nations as director of Leadership and Capacity Development. She designed and facilitated programs for whole systems transformation and leadership development throughout the world with measurable results. She established and implemented programs in 40 countries to prevent and treat HIV AIDS and pioneered the strategy for whole systems transformation to reduce maternal mortality in South Asia. Monica Sharma developed a conscious full-spectrum model which simultaneously in time solves problems, shifts systems and creates new patterns sourced from individual inner capacity and transformational leadership. In her new book she writes, like maybe no one else could do about how “Transformational leadership” works . Thomas Steininger will talk in Radio evolve with Monica Sharma about how change agents can develop a form of leadership. © 2019 evolve Magazin für Bewusstsein und Kultur, emerge bewusstseinskultur e.V.